A major command structure reform is coming to the Chinese People’s Liberation Army (PLA) by the end of 2015, unnamed sources told the Hong Kong-based South China Morning Post. The reform, known to be in the works for the past several months, is intended to orient the PLA towards becoming a more professional force in the mold of Western militaries, while at the same time maintaining and consolidating the Communist Party’s central political control over it. These institutional changes, made as Chinese leader Xi Jinping strengthens his personal authority, represent the latest round of the often-turbulent Party-Army dynamic. The restructuring involves personnel changes, cuts to the force size, and highlights the important roles of the PLA’s air and naval forces, which have historically taken a back seat to the ground forces. Two sources told the South China Morning Post that the seven “obsolete” military regions would be replaced by five regional commands—North, South, East, West, and a central combat zone, which one of the sources said would likely be located in Beijing. “The head office of the central combat zone is likely to be in Beijing, because the capital is also China’s administrative and military nerve centre,” the source said. 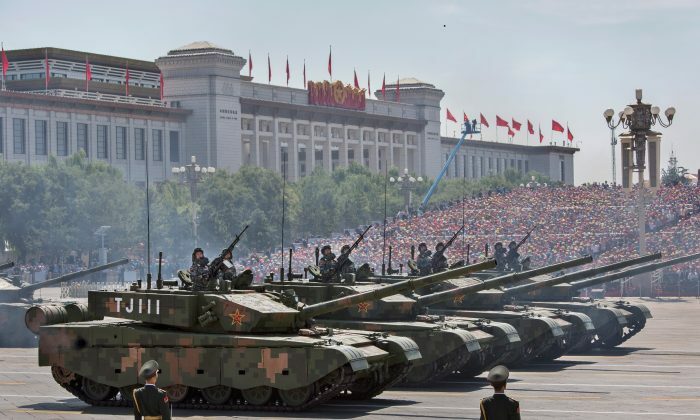 Why Is China Really Cutting 300,000 Troops? Who Will Xi Jinping Put in Charge of China’s Military? In a commentary piece published recently in a PLA journal, the existing seven-command system was criticized as outdated. It was said to be overly centralized and to pose a challenge to Party control. According to the new setup, the Central Military Commission, the agency by which the Communist Party controls the Chinese military, would wield more direct authority. New commissions and departments have already been created to this end, South China Morning Post said. Historically, the Party and PLA have had a complicated, sometimes cut-throat relationship due to the former’s demand for political dominance. Founder of the communist state Mao Zedong, known for his saying that the “Party controls the gun,” purged the armed forces multiple times, including officers who had followed his earlier directives. Later, under former Party leader Jiang Zemin, the PLA and its staff engaged in massive corruption as generals such as Xu Caihou and Guo Boxiong, who had personal allegiances to Jiang Zemin, abused their power. These and other officers have been purged en masse in the two years since Xi Jinping took power. Xi’s reform, though, is also likely to involve personal ties. In October, sources told South China Morning Post that the leader’s ally Gen. Zhang Youxia was a likely candidate for vice-chairman of the Central Military Commission. Xi and Zhang’s fathers were fellow officers in the communist forces during the Chinese civil war that brought the Party to power in the 1940s. "We don’t want to live under Chinese rule. We want our [Tibet] back." Cuts to the Chinese military aren't about peace or reducing costs. Gen. Zhang Youxia is one of the few high-ranking Chinese military officers with experience in an armed conflict.